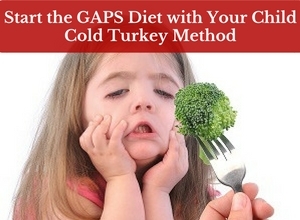 Today I’ll explain my favorite way to start the GAPS Diet with Your Child: Cold Turkey Method. 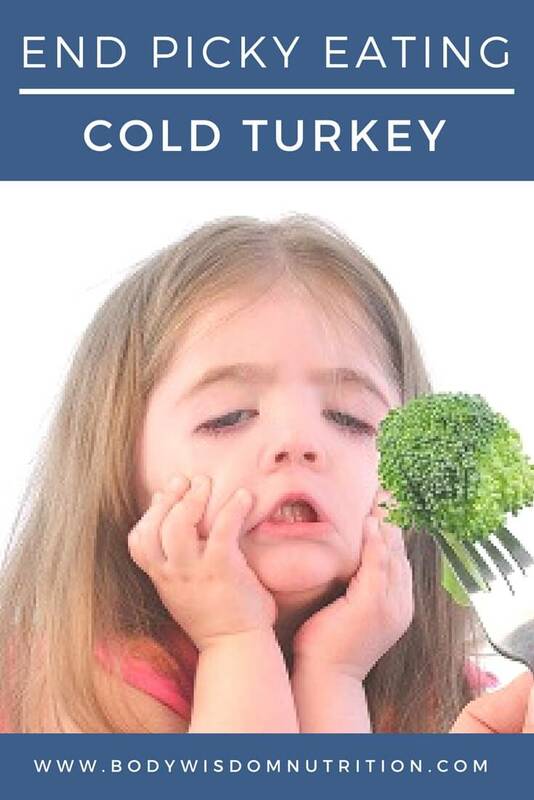 The Cold Turkey Method can also be described as “you’re-not-eating-unless-it’s-GAPS-food-and-we’ll-wait-it-out.” It’s my favorite method because it’s the quickest way to get picky kids on the GAPS Intro Diet – especially younger kids on the autism spectrum or with sensory processing disorder. 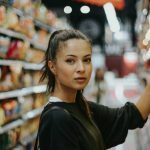 A drawback of both the Applied Behavior Analysis (ABA) Method and Backing into the GAPS Diet is that it may take a looong time to be 100% GAPS. It all depends on how quickly your kid will accept new foods, and how diligently you’re willing to work on it with them. For working parents who don’t have an ABA therapist to help them, it can be almost impossible to work on GAPS foods at every meal. Plus I know some you have tried ABA in or other areas and found that it really didn’t work for your kid. The alternative I offer is the Cold Turkey Method, which consists of only offering GAPS foods to your child. Period. The difficulty with this method is that it’s always accompanied by 3-10 days of almost no food consumption. The idea is that children will not starve themselves to death. There’s a battle of the wills and you must win. You keep them hydrated, continually offer GAPS food options, and at some point they’ll realize that you are absolutely serious about this, and they’ll try the GAPS foods. In a week or so they’ll be eating an all-GAPS Diet. It probably won’t be a picture perfect, step by step Intro Diet, but they will be eating only GAPS foods. The Cold Turkey Method is just as hard as ABA, but more intense. Your child will throw a tantrum, they’ll complain that they’re starving, they’ll threaten you, and eventually they’ll wear themselves out and lay on the couch. They’ll be extremely fatigued and look a little zombie-like, not playing or showing interest in their normal activities. You will feel like the cruelest parent on Earth – but it’s totally not true! This is why everyone in your household must agree 100% with the Cold Turkey Method before you begin. If your child thinks they can get someone else to take pity on them and sneak them their preferred food, they will be extra resistant to the new GAPS foods. It’s critical that you remain calm and non-judgmental in front of your kid at all times. Do not yell or fight with your kid to get him to eat. Your body language should communicate that you didn’t make these rules; it’s just your job to uphold them. Choose a start date and make sure it’s a week when you don’t have to work or spend time on any other commitments. Getting your child on GAPS is your only job this week. Remove all non-GAPS foods from your home, but particularly from anywhere your child will see them. If Dad and siblings aren’t going to be on GAPS they must eat their bagels, chips, cookies, and pasta elsewhere. Have a variety of stock, cooked meat and vegetables, and fermented dairy or veggie foods on hand. While they are fasting (aka refusing to eat), make sure that they drink water with a pinch of natural sea salt in it to maintain hydration. If they won’t drink water, try tea. If that doesn’t work, offer them watered-down fresh-pressed carrot juice. Still no luck? Make some lemonade with fresh-pressed lemon juice, water, a pinch of natural sea salt, and a little dab of honey. They can drink as much as they want of any of these. Do not offer fruit, nuts, or any baked goods. Savory foods and juice only. 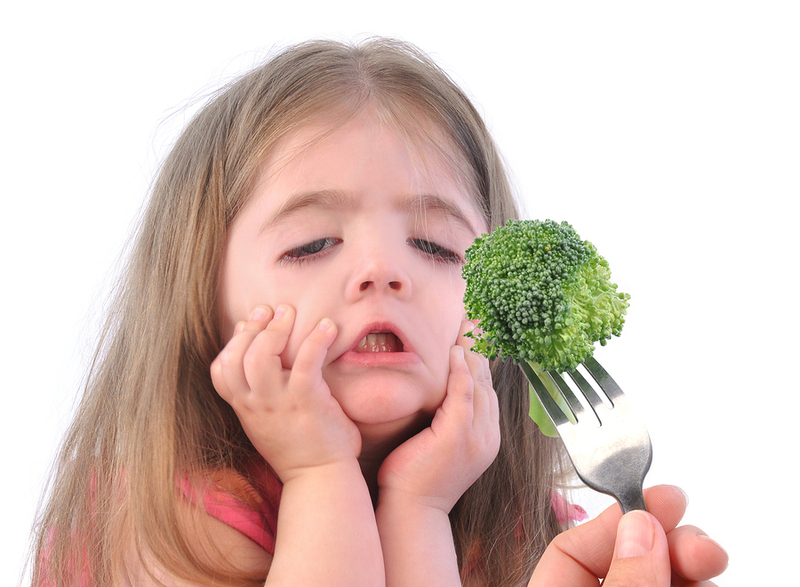 If your child vomits, check out my article on Vomiting on the GAPS Diet for solutions. Eat the GAPS Stage 1-2 foods in front of them without making a big deal out of it, and don’t require them to be at the table. Repeat this each day and do not give up. If you child accepts food on Day 3 or earlier, you’ve had an exceptionally easy time – congrats! 5-7 days is the norm. 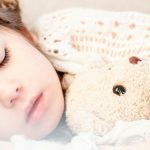 If your child has texture sensitivities, take those into account. On Day 3 make a savory GAPS dish that you think she may accept. There are two directions this most often goes depending on the kid: “everything in a smoothie” or “only meat.” Either is fine for a while. If they accept a GAPS smoothie with juice and yogurt, put chicken feet stock and fermented foods in it. If they’ll only eat meat or meatballs, add in pureed or minced veggies, and cook them in the broth. Keep offering other stuff daily. Then when they’re happily eating this, you can try a little ABA Method with the smoothie or meatball as a reward. Celebrate all the foods they eat, and keep expanding on variety and texture every week. 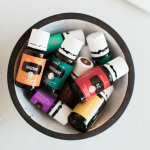 It may take several weeks of simple foods before your kid builds up enough nutrition and begins detoxifying to the point that they can tolerate new textures. Always eat GAPS foods in front of them. Some kids will ask to try something their parents are eating only when their parents stop offering it. My final tip for you: enlist a supportive friend that you can call and cry to at the end of the day. No joke! You’ll need the moral support. If you don’t have that kind of unwavering support, hire a GAPS Practitioner or enlist another coach or counselor. It doesn’t have to be me, but I love this process!